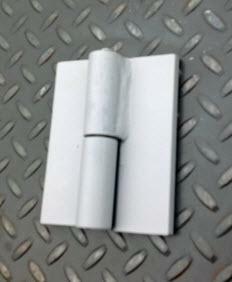 Radiation shielding hinges for large doors and gates at Kiesler Machine Inc. Radiation shielding door hinges are designed for continuous use and years of trouble free service. 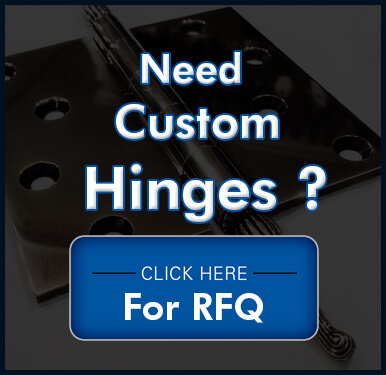 Our hinges are manufactured with pride in the U.S.A. to precision tolerances. 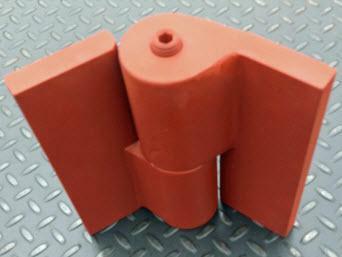 Kiesler Machine Inc. is the best source for radiation shielding door hinges for your demanding applications. Available in 304 or 316 grade. Kiesler Machine Inc. utilizes specialized machining practices and techniques to create our industrial door hinges. These hinges are fabricated from 1018 cold rolled/hot rolled steel or 304 and 316 stainless steel. With load capacities to 40,000 lbs, our hinges are suitable for small doors up to the largest swinging doors fabricated. They have been designed with precise tolerances for smoother operating hinges. Heat treated and ground alloy steel pins are used with needle bearings and a thrust bearing to carry the heavy load. The performance of the hinges is increased by using seals to prevent any contamination entering the hinge. Heavy duty pivot door hinges are also manufactured with precise thrust bearings that have the capability to carry immense load capacities. Our pivot door hinges, industrial hinges, and heavy duty pivot hinges are interchangeable with our competitor’s hinges and are in stock and available for immediate shipping. Competitive prices and just in time deliveries for new construction or maintenance repairs. 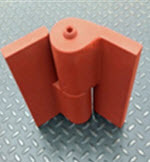 We have been manufacturing Radiation shielding door hinges since 1999 and have acquired a global market and a great reputation for long lasting hinges serving the nuclear medical field and many industrial applications. Kiesler Machine Inc. is one of the major manufacturers for hinges Made in The U.S.A.
Kiesler Machine Inc. can fulfill all your heavy duty hinge requirements, providing versatile products that can be used in commercial, industrial and domestic areas. Q : Do you take on custom orders? A : Yes. We have in-house capabilities to take on custom orders from companies. We work with the client to understand his requirements and create specifications that will work for you. If you would like to know more information, please contact our Kiesler Machine Inc. representatives at 888-565-6610. Q : Can I upgrade my stainless steel hinges? A: We can accommodate hinge upgrade requests by clients. We can upgrade your present hinges to heavy duty pivot hinges or industrial door hinges at minimal costs. Q : What if our hinges require custom mounting holes? 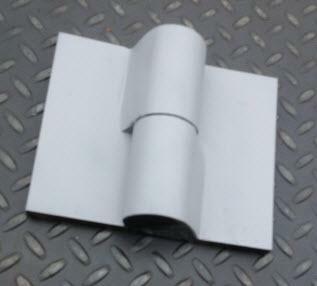 A: We can provide a standard hole pattern or drill your custom designed pattern at your request. 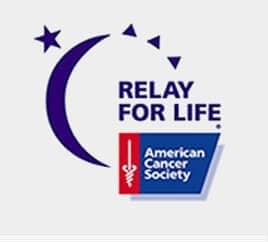 You can send us the measurements via email or you can fill out the request form.